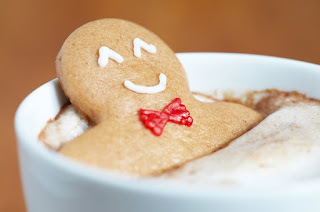 How do you feel when you think about all the activities of the holidays? Are you taking calm, deep breaths or shallow, short breaths? Is your heart racing when you remember all the things you want to get done? Sometimes your own high expectations rob you from enjoying yourself. Take a step back and consider your top priorities for the holidays. Families spend more time together at the holidays. How does the rhythm of your family change with your kids on a break from school? Do you have time to slow down and catch your breath? Or is there additional tension that leads you to holding your breath as you navigate through? Are your family gatherings stressful due to taking on more than your share? Mindfully deciding on how to spend your time and energy over the holidays can increase your joy. When you think of your own childhood what are your fondest holiday memories? What holiday traditions would you like your kids to remember when they are your age? Do your favorite memories include any of the following …? How do you feel about your relationship with each of your children? Are you feeling warmly connected, coolly distant or somewhere in between? Relationships are dynamic. They change over time as both you and your children grow and change. These gradual changes can be hard to notice until one day you realize you are not happy with the way you and your kids are relating. It might be that you are feeling overwhelmed and underappreciated. Or perhaps you feel the only way you can get your kids to listen to you is if you yell. Think about a time when someone was completely engaged in listening to you. Where were you? How did you feel? Now think about a time when you were trying to talk to someone but they were distracted. What did you do when you noticed they weren’t really paying attention? How did you feel? There is a huge difference between being fully present and being half there. It’s hard to fake being present when your mind is somewhere else. Others pick up on your distraction even if they don’t openly acknowledge it. Like all people, you go between states of being engaged and distracted all day. Your connection to your children and your ability to do your best parenting is affected by which state you are in. When you are distracted, you are thinking about things other than what’s currently happening. Like a distracted driver, you are wandering around oblivious to the subtleties of the situation. If you have young children, being distracted is especially dangerous because they can quickly get in serious trouble. Raising Kids Who Blossom by Kathy Slattengren, parenting expert and author of award-winning Priceless Parenting’s online parenting classes, offers healthy parenting strategies. Using these ideas will help your children blossom – growing into their best selves. You will learn parenting approaches that work well based on research and use in actual families. Key elements for guiding and encouraging your kids are explained using real-life stories. You’ll also discover parenting techniques to avoid – tempting though they may be! When you put in place these best practices, you can expect a lot more joy and a lot less yelling and nagging. Questions at the end of each section help you determine how to use the ideas with your own family. The book includes 20 positive approaches for responding to your children’s misbehavior. Since each child is different, you’ll be able to find a response that works best for you. You’ll also learn how to help your kids build life skills. These skills will allow them to successfully launch as capable young adults. Whether your kids are toddlers or teens, you’ll be helping them grow into responsible, caring people. Parenting can be a pleasure or a pain. When you have the right tools, you will experience more pleasure. Raising Kids Who Blossom gives you tools for effectively handling day-to-day struggles. This book will help you guide your kids to blossom into their own beautiful, brilliance! Do your kids love doing art projects? If they enjoy creating art, it's a wonderful way to spend time away from digital devices. The time consuming part for you is coming up with the ideas and getting the supplies. Outside The Box Creation makes your life easier by pulling all the supplies and instructions together in one box. You can try out a box like the one below to see how it works. If your kids enjoy it, they offer monthly subscriptions where you'll receive a new project each month. Creating fun art projects with your kids just got a lot easier! 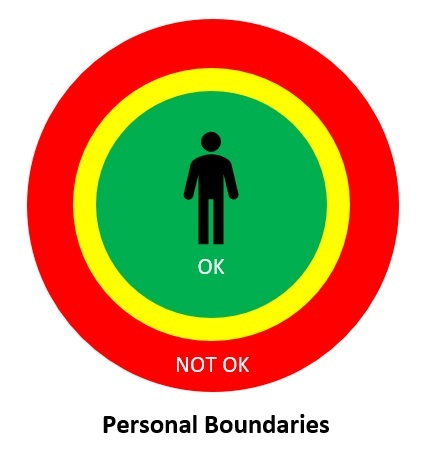 Healthy boundaries are essential to living together harmoniously as a family. Good boundaries are like fences defining the edges of what is acceptable and unacceptable. Being sensitive to everyone’s boundaries is essential for smooth sailing. How do you know when you’ve crossed a boundary? If you are paying attention to the other person’s reaction, they’ll often let you know. For example, children being tickled may be laughing but then it becomes too much for them and they say “stop”. They’ve gone from feeling comfortable to uncomfortable. When you stop tickling, you honor their boundary. Before you can honor someone’s boundaries, you must notice them. Megan realized her son Alex was sensitive to various scents when he started complaining about smells. The smell of the laundry detergent bothered Alex so they switched to unscented laundry detergent and dryer sheets. Megan stopped wearing perfume or using hair spray - all way too smelly! She also changed to using unscented candles. While the rest of the family was fine with these scents, Alex’s boundary for acceptable smells was much narrower. All these little adjustments helped Alex stay in his comfortable zone. Different people have different boundaries and tolerances for stretching those boundaries. One mom realized their family’s schedule felt too crazy when the kids had more than one extracurricular activity at a time. They decided to limit their kids to one activity at a time. In the spring their son wanted to join both baseball and the school play which overlapped by a couple weeks. They carefully considered the impact this would have and decided that although it crossed the boundary it would be doable. Other families may have decided it would have stretched them too thin. Running a household involves plenty of work. How are your kids helping out? If they are preschool age or older they should have age-appropriate responsibilities. Chores are a way for your children contribute to your family. It’s important for your kids to learn that being part of a family means helping with household tasks. You do not want your children growing up viewing you as their personal servant! One parent wrote their biggest challenge is “keeping the house clean when the kids destroy it”. When kids make a mess they should be helping clean it up. Likewise, children who destroy something need to help replace or fix it. 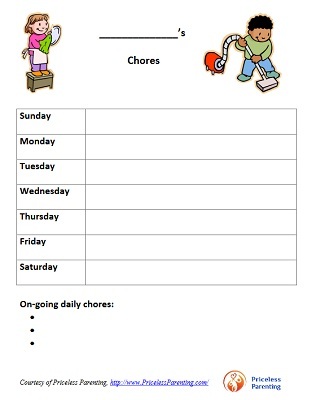 Start chores when your children are young and enthusiastic. Although preschoolers are not very good at chores, they are often eager to help. When you give your preschoolers simple chores, they are on the road to being significant contributors to your family. Young children can handle tasks like picking up their toys, bringing in the mail and putting napkins and silverware on the table. You will need to teach your children how to do each task and help them out until they can do it on their own. One mom said she is teaching her 5-year-old twins how to do the laundry. Although she still needs to provide some guidance, the boys are so proud they know what buttons to push and how to do a load of laundry! Mastering new household skills builds self-confidence in children. It also builds appreciation for what needs to be done to keep the household running. When my son was in elementary school one of his chores was washing the kitchen floor. We typically take our shoes off in the house but one day I kept my shoes on while carrying in some groceries. He asked me to take my shoes off because he had just finished cleaning the floor. Now that was music to my ears! Begin by writing down all the tasks that need to be done to keep your family going. Include things like going to work to earn money, paying bills and providing rides. This list of chore ideas can help you get started. Experiencing stress is part of growing up. What happens when children feel overwhelmed by stress? If your child is under age six, the result is often a tantrum. They aren’t trying to misbehave. They simply have not developed better coping skills. Older kids may also have meltdowns when they are flooded with strong feelings. 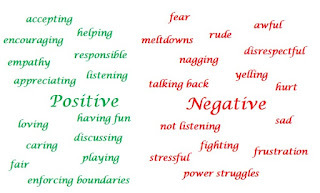 They are developing better coping skills but may not have the presence of mind to use those skills. All kids experience stress. Some turn to talking to friends while others try escaping with drugs. How are your kids coping with their stress? Your kids may feel pressure to do well at school, sports and other activities. They also have various social pressures with classmates, friends and family. Ideally your children have many healthy coping skills to choose from. Establishing a daily practice for dealing with stress is helpful. 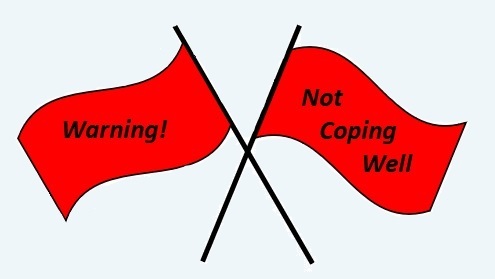 When your kids are overextended or exhausted, their coping skills may start to crumble. Even though they were coping well a few days ago, they may not be able to do it today. Some behaviors indicate potentially serious problems in coping with stress. It’s natural to want to minimize the possible consequences and hope that things will get better. Don’t all teens act like this? Isn’t this a phase that will soon pass? Do you struggle to get your kids to eat healthy? If so, you have plenty of company! While it seems like it should not be that difficult to have children eat plenty of nutritious food, for many it’s an ongoing struggle. When there’s tension around what your kids are eating, it adds stress to every meal. It doesn’t have to be that way. Changing your approach so that healthy eating is no longer a battle is worth the effort. How do nutrition-smart parents raise kids who exist on mac and cheese, yogurt, goldfish crackers and chicken nuggets? Your nutritional knowledge can unintentionally help you justify feeding your children junk food. If you find yourself saying “well at least it has Vitamin C”, you’ve fallen into this trap! You find yourself begging your kids to eat just two more bites. You battle with your kids over eating enough fruits and vegetables. Your children often aren’t hungry at meal time. You justify poor food choices with saying things like “at least it has protein”. Your children typically eat something other than what is being served for dinner. Meal time is filled with tension. When you eat at someone else’s house, you bring special food for your child. 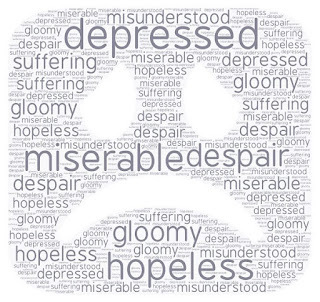 If any of these signs resonate with you, it’s time to make some changes. Dr. Dina Rose discusses helping kids eat well in her book, It’s Not About the Broccoli: Three Habits to Teach Your Kids for a Lifetime of Healthy Eating. She focuses on teaching your kids healthy habits that will last their lifetime.